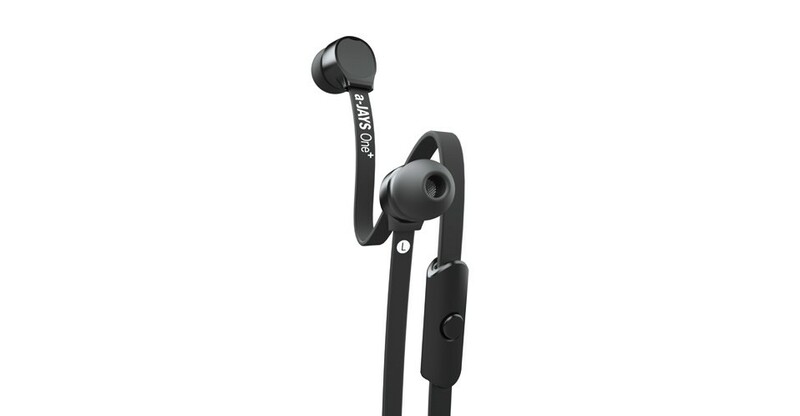 The a-Jays One+ Earphones are the best headset for your Android phone or tablet with a decent price tag. Review: Before analyzing the design of the earphones the first thing that attracts us is the box whose sleek oval shaped design actually is as cool as the earphones are,Coming to the earphones the build quality is excellent and the ear buds fit in the ear comfortably,You don't have to worry if your ears are either small or big because a few pairs of different sized ear buds are also provided. The not so fancy design of the earphones give them a bold look which is mostly preferred by men and the solid color give a premium look.The tangle-free cables are 115cm long which can easily reach upto your side pockets. The a-Jays One+ Earphones apart from providing excellent sound quality they allow you to control the functions of the headset via the JAYS headset control app which can be downloaded from Google Play. Verdict: The a-Jays One+ Earphones a rich listening experience by providing clear audio and a good bass to impress audiophiles,The Headset might be perfect companion for your Android Smartphone and the JAYS headset control lets you personalize several options such as adjusting volume,changing album and many other features. If you are looking for Nexus 7 Accessories then this earphones might be a good choice.